Our service range includes a wide range of high capacity diesel jet pressure pump and high capacity electric jet pressure pump. Vaccum pump type SV50 with Gun Metal Impeller & S.S Shaft. 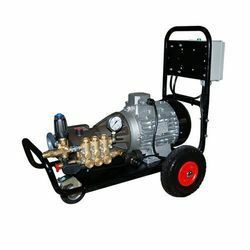 With its impeccable performance, capacity, strength, speed, service life and precision, the offered High Capacity Diesel Jet Pressure Pump is known to be amongst the finest that are available in the market. Manufactured in compliance with the set industry norms and guidelines, its standard of quality never collapses. 1) SPLIT CASING CENTRIFUGAL PUMP TYPE: Comprises of DSM100-36 pump (250 X 250) Suction, Volute/Diffuser made up of Cast Iron, S.S Impeller. 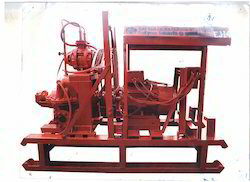 3) VACUUM PUMP TYPE: Vacuum Pump Type SV50 with Gun Metal Impeller & S.S Shaft. 80HP DIESEL ENGINE: 80 HP CAPACITY, AL-400 6 Cylinders, 6000cc (MAKE - ASHOK LEYLAND). With its impeccable performance, capacity, strength, speed, service life and precision, the offered Electric Jet Pressure Pump is known to be amongst the finest that are available in the market. Manufactured in compliance with the set industry norms and guidelines, its standard of quality never collapses. Looking for Jet Pressure Pumps ?